It’s that time of year again, and I am armed and on a mission! 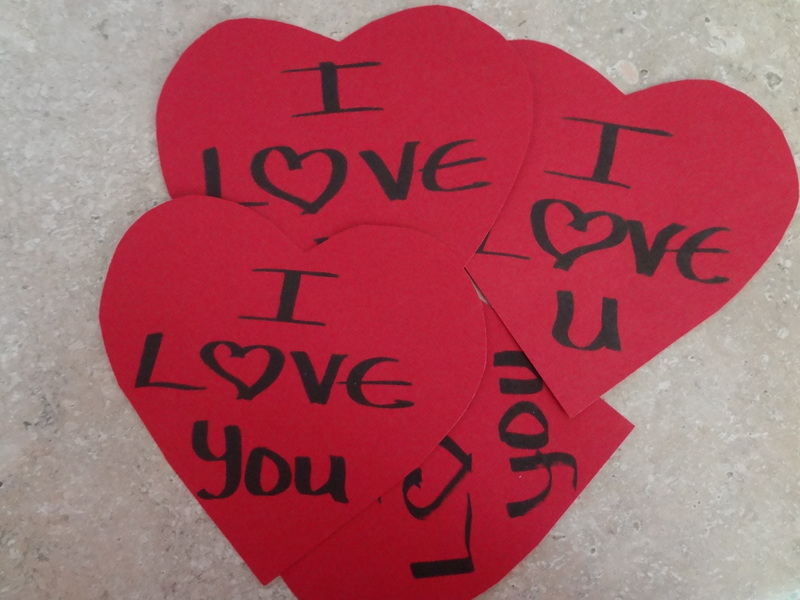 In case you missed it, last February I wrote about “I Love You” Hearts. Now that Hubby is home from Haiti and Valentine’s Day is less than a week away, it is time for the fun to begin. 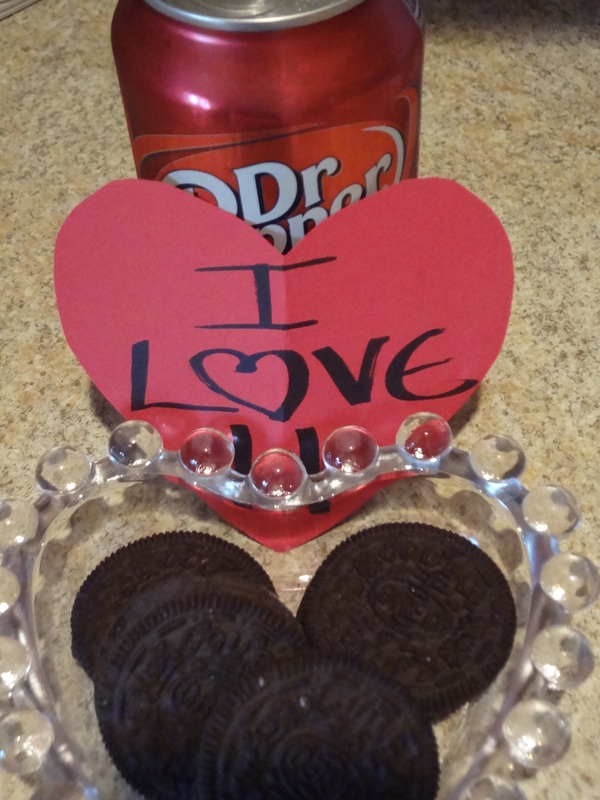 To get started, I made “I Love You” hearts. 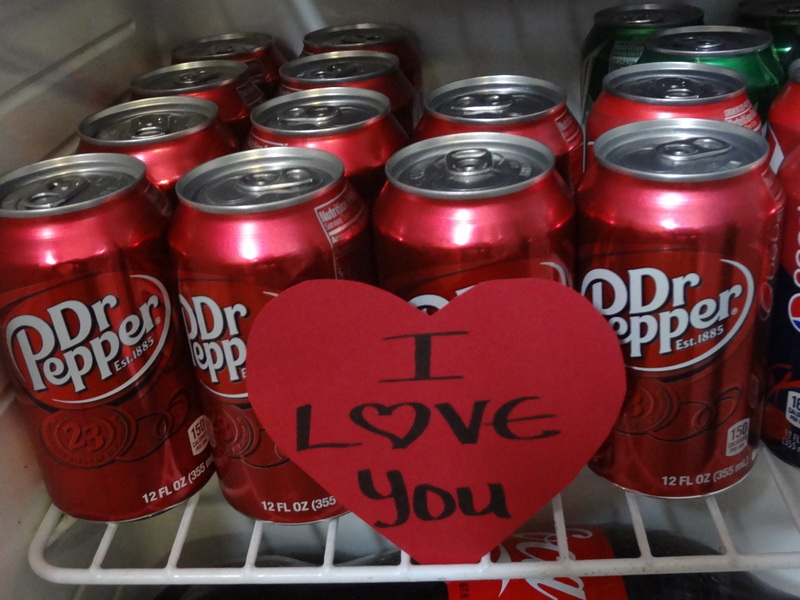 The first one is staying cold with Hubby’s favorite beverage, which I restocked in the pop frig without him knowing. 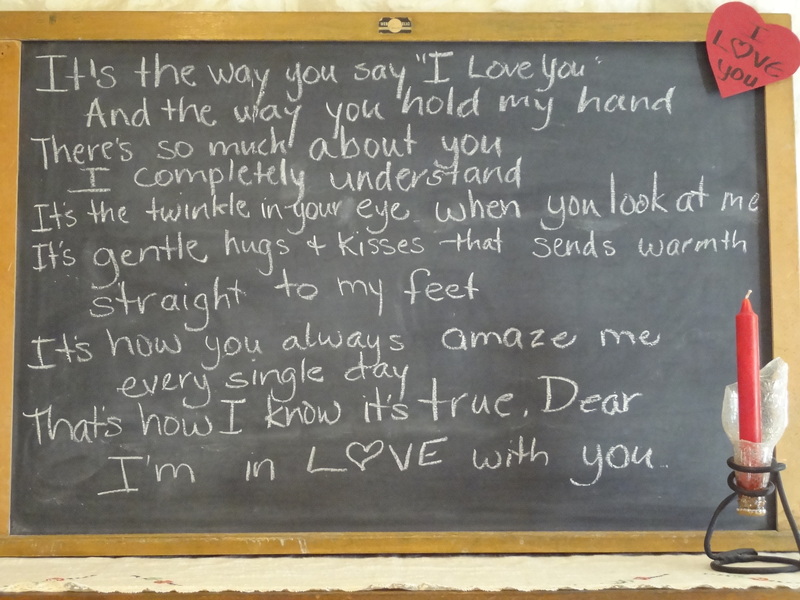 Next, I started an “I Love You Because…” message board on the mud room mirror. I’ll write a new reason why I love him every day. Dry erase makers work wonderful with little-to-no mess. Just simply wipe off; you don’t even need window cleaner. However, by the end of the week it will be time to use cleaner on the mirror again any way. 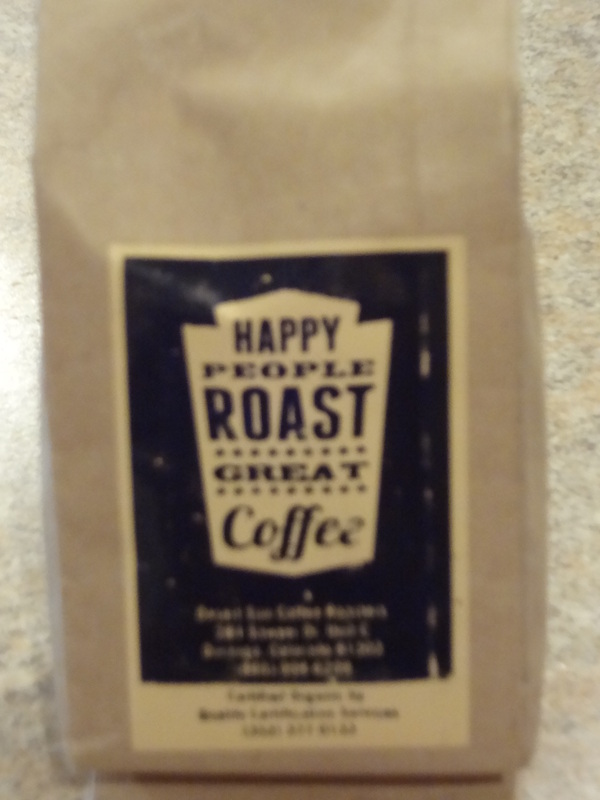 Our mornings begin with coffee, and Hubby is the one who usually gets it brewing. 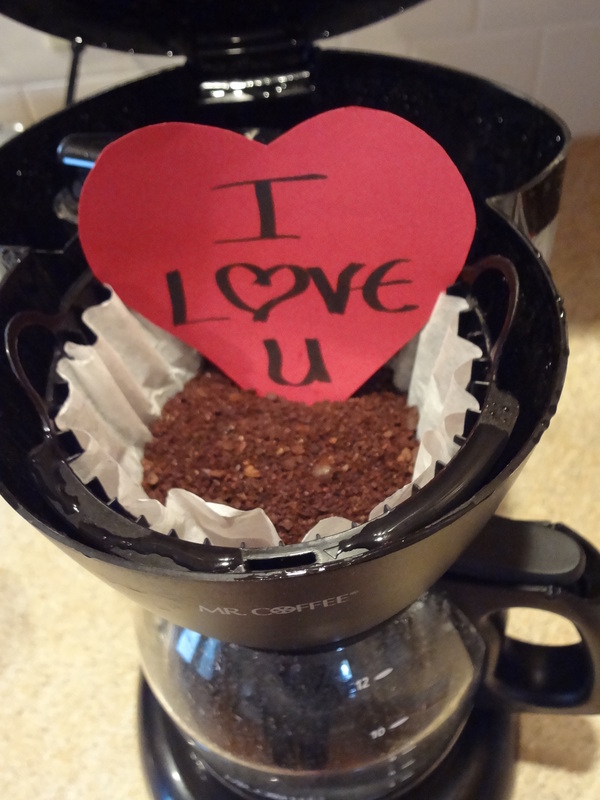 I just finished grinding some coffee beans, loaded them into the coffee maker and left a heart. He’ll be surprised when he lifts the lid. Homemade cookies are usually what you’ll find in my kitchen, but once in awhile we get a craving for Oreos. When grocery shopping, I picked up a package of Double Stuffed, and then hand delivered my last “I Love You” heart with this sweet treat. This really got me into the Valentine mood to show love. I got creative and put together some packages to send my kids. I’ll share pictures of the surprises after I know the they have been delivered. Though February is the shortest month, it can feel really long in the midst of cold and flu season and the unpredictable weather. What better way to bring some excitement into the days than with random acts of kindness and love.